Home EVENTS	Want to Be More Energy Independent? Want to Be Energy Independent? 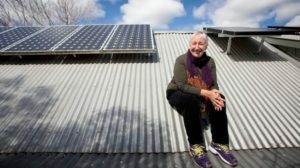 An info session is being held in Coledale next month to simplify information about solar energy and battery storage, and to help you work out what technology is right for you. The event is being organised by local company The Energy Experts and 360Storage. It’s designed to help you make the most of solar and batteries, reduce your power bills and your reliance on the grid. You’ll learn how you can save and store solar energy to use day or night, making you immune to rising electricity prices and blackouts! The event will be held at Coledale Community Hall on Wednesday October 18 at 11am and 7pm. The 1.5 hr sessions will cover clever new technologies, including Tesla and LG, and an Australian-made device that can halve the payback of a battery storage investment.